The firm has rejected the Scottish Government's alternative business plan to save 900 jobs. 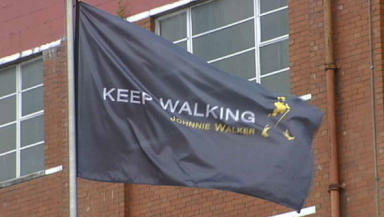 STV News can reveal that Diageo has rejected the Government's plan to halt closure plans in Kilmarnock and Glasgow. Management have just announced their intention to stick to their original plan, despite the Government's offer of public subsidies to retain 900 jobs in the West of Scotland. The firm will instead close the Port Dundas distillery and packaging plant in Kilmarnock. Management say it will be offset with the creation of 400 new jobs at the company's Levenmouth plant and an £86 million investment in Fife. The Scottish Government had put forward an alternative business plan which would have seen a new plant created in Kilmarnock and would have resulted in the Fife expansion plans being scrapped. But bosses have this morning told workers that they have rejected the Government's proposals in favour of sticking with their original intentions. Finance Secretary John Swinney has now spoken out against the " deeply disappointing" decision, saying: " I led a task force which worked effectively to put together the strongest arguments and substantive proposals to retain production and jobs at Port Dundas and Kilmarnock. “We could not have had more co-operation from the workforce, trade unions, the local authorities and parliamentarians to identify concrete, deliverable and cost effective proposals. “I still do not believe that Diageo appreciate the social consequences of their financial decision in turning their backs on 200 years of history in Port Dundas and Kilmarnock. “We shall meet as a task force to consider our next steps. As a Government we will work unstintingly with our partners to mitigate the serious impacts and assist the people and communities affected by Diageo's decision-making." Lib Dem leader Tavish Scott has also spoken out against the firm's actions, saying: “These 900 job losses are a massive blow to the Scottish economy, but this will be catastrophic news for the workers at Diageo’s Kilmarnock and Glasgow plants." However, Central Fife SNP MSP Tricia Marwick told STV News: "I welcome the decision by Diageo to invest in Fife. "I am saddened by the loss of the jobs in Kilmarnock, however, I believe this was the right decision and will secure the long term future of Diageo in Leven."